Interview with Ricardo Duchesne: Part I: What is Multiculturalism? Le Harfang: Because the definition of the word always depends on who is talking, could you define in your own terms multiculturalism? Ricardo Duchesne: Let's take the world "multicultural" rather than "multiculturalism" first. "Multi" means many, and so "multicultural" means many cultures. From a strictly dictionary point of view, there is nothing wrong with the term "multicultural"; it may be correctly used to refer descriptively to the presence of many cultures in the world. The term may also be used normatively, signalling a positive appreciation of the presence of many cultures in the world, of the fact that the peoples of the earth inhabit different nations with different cultures; and, in this sense, the word may be used as a way of acknowledging and validating the cultural diversity of the world. The word may also be used to describe the actual presence of more than one or two cultures and linguistic groups inside one nation or inside one empire. The Austro-Hungarian Empire, for example, was multiethnic and multicultural, populated by Germans, Hungarians, Italians, Romanians, Czechs, Poles, Ukrainians, Slovenes, Serbs, Croats, Slovaks, and Gypsies. The former "Soviet Union" was possibly the world's most ethnically diverse country, with more than 100 distinct national ethnicities living within its borders. Canada, too, may be correctly described as a "multicultural" nation during the course of its history. Examining the Canadian census of ethnic origin in 1971, we find the following ethnic distribution: Aboriginal (1.3%), British (44.6%). French (28.7%), German (6.1%), Italian (3.4%), Ukrainian (2.7%), Asian (1.3%). But the term "multiculturalism" with an "ism" should be differentiated from "multicultural". Multiculturalism is best defined as an ideology. By ideology, I mean a set of ideas formulated into a program for the purpose of transforming an existing state of affairs into a new reality that conforms to the ideology. Multiculturalism, in this sense, is not a descriptive term referring to the presence of multiple cultures in a given society. It is not even a normative assessment of an existing state of affairs. It is, rather, a political or social program intended to create a new cultural reality. The term "multicultural" was used to describe certain societies before the ideology of multiculturalism came into common usage in the 1970s. The ideology of "multiculturalism" only came into usage in the 1970s and after. Why? This brings me to a second, defining component contained in the term multiculturalism, namely, that multiculturalism developed as a program together with the decision on the part of Western liberal elites to open their borders to mass immigration from the non-Western world. Up until the 1960s, the great European settler nations of Canada, Australia, and the United States were protected by "White Immigration" policies. The principal motivation behind these exclusionary policies was the collective desire of these nations to remain British and/or European in ethnicity and institutions. It is worth emphasizing that these nations were "multicultural" both in the diversity of European settlers and in the existence of a small proportion of non-Whites. But none of them practice multiculturalism. Then the American President Lyndon B Johnson signed the Immigration Act of 1965, which ended the exclusion of non-White immigrants, and two years later Canada adopted the Immigration Regulations of 1967, which also impose a non-racial set of admission criteria for immigrants, and six years later the "White Australia Policy" came to an end. The result was a tremendous surge in immigration from non-White countries into these three countries in the decades that followed. The adoption of multiculturalism has to be seen in this context; that is, in relation to the decision on the part of Western nations to promote mass immigration from Asia, Africa, and Latin America. Multiculturalism was never a policy about the multicultural composition of Canada, Australia, and the United States. As late as the 1970s, all these countries were overwhelmingly White. Canada, for example, was over 95 percent European in 1971. The adoption of multiculturalism in Canada was not about the past or the present; it was an ideological program dedicated to the transformation of Canada (and eventually all European countries) into mere places for all the world's races and cultures. Since Canada, Australia, and the United States were still overwhelmingly European in the 1960s/70s, the promotion of multiculturalism necessitated the deliberate diversification of the population by increasing the number of immigrants from the Third World. The much talked about contrast between the American "melting pot" and the Canadian "mosaic" lost any substantial meaning it reflected when non-White immigration was prohibited. Before the 1970s, Canada was a mosaic in the relative solitudes of the English and the French within Confederation. Conversely, America was a melting pot in the assimilation of peoples to the "American dream" from the same European ethnic background. To this day, in America, Blacks and Indians have not assimilated well to the European culture, despite massive affirmative action, government and media accolades about "integration". The melting pot worked only in regards to European immigrants. But today with the mass entry of Mestizos and Asians, there is little melting going on. The United States is no less under the prey of multiculturalism than is Canada. While the United States does not have an official policy of multiculturalism at the federal level, one finds a multiplicity of "diversity" policies and programs at the state and municipal levels regarding school curriculums, policing, hiring practices, race relations policy. Indeed, all European countries, in varying ways and degrees, have accepted immigrant multiculturalism: race-neutral immigrant entry policies, and the imposition on public institutions and on the media of ethnic diversity. Le Harfang: How is multiculturalism anti-European? RD: Answering this question brings me to a third, defining aspect of multiculturalism, already implied above: multiculturalism is not merely about cultures per se, but about races and cultures combined. More precisely, it is about the promotion of non-White races and cultures inside European nations. One often hears multiculturalists referring to the past ethnic diversities of European countries as a way of inferring that our current immigrant policies are merely enhancing diversities already present in the past. For example, they will point to Britain as a nation created by Angles, Picts, Saxons, Welsh, Celts, and Vikings. They will try to paint a picture of continuity (and thus normality) in the recent mass arrival into England of Africans, Jamaicans, Pakistanis, Indians and Chinese immigrants. But there is a fundamental difference, and they know it. The past diversity of Britain was established over the course of many centuries among groups that were all European. These groups were slowly integrated into the British nation, in the course of which they came to experience similar cultural and religious events. They were all White. Multiculturalism was never about these groups, but about the opening of British borders to non-White immigrants. Multiculturalism is an ideology dedicated to the transformation of Western nations into multi-racial states against the historic European peoples. In origins and objectives, multiculturalism is racially anti-European. It is also culturally anti-European. Multiculturalism promulgates the equality of all cultures; accordingly, it demands, in principle, a Canada in which no particular culture has a privileged position in the nation's history and future objectives. However, we know (although the younger generations are increasingly taught a history that falsifies this reality) that all the institutions, values, religions, and languages of Canada have been overwhelmingly British and French. But insomuch as multiculturalism calls for the equal celebration of the cultures of immigrants, there is powerful tendency at work, mandated in our educational institutions, to portray the Anglo-French founders as merely one group among other founding peoples. Children have long been taught that the Aboriginals were founders as well; but more recently they are being instructed to include Asians and new immigrants in the founding narrative. Newcomers are coming mostly from Asia; therefore Canadians are expected, in the name of cultural equality, to redefine their "roots of citizenship" to reflect this new reality. In a 2002 publication, A Newcomer's Introduction to Canada, released by Citizenship and Immigration Canada "for new immigrants", it was announced that "Canada is a land of many cultures and many peoples…Through Canada's history millions of immigrants have helped to build this country. Multiculturalism is culturally anti-European because it calls upon the English and the French to practice historical amnesia and pretend they were not the creators of Canada's institutions, parliamentary traditions, and laws. It does not want the children of these two groups to proudly identify themselves as inheritors and continuators of their European ancestors. At best, it wants them to see themselves as representatives of a people representing no more than a set of procedural laws and institutional templates — a market economy, equality under the law, democratic representation — which belong to everyone. At worst, it wants them to apologize for their employment of a "white supremacist" ideology as a nation-building tool, their imposition of the Chinese Head Tax, their anti-Asia immigration laws, and their continued existence as the "historically dominant majority". On the other hand, multiculturalism protects the group-cultural rights of immigrants and portrays them as members of authentic traditions that can enhance our otherwise impersonal and automated Western ways. Trudeau said as much: "Ethnic pluralism can help us overcome or prevent the homogenization and depersonalization of mass society. Vibrant ethnic groups can give Canadians of the second, third, and subsequent generations a feeling that they are connected with tradition and with human experience in various parts of the world and different periods of time." Immigrants are not only genuine representatives of the "human experience", "enriching" an otherwise monolithic and culturally dull European Canada, they are also "self-sacrificing" in their longing for Canadian citizenship, have never oppressed anyone in Canada; they merely want to get a fair share. All in all, immigrants are benevolent by nature, closely connected to the Earth, and frank; unlike Whites who have a history of taking the lands of Aboriginals and imposing head taxes — never mind that immigrants come from racist and illiberal cultures, the point is that in Canada they are automatically designated as "victims", as weaker "minorities" in need of special rights to protect themselves against the encroachments of "privileged" Whites. Le Harfang: What are the negative effects of multiculturalism in Canada? RD: Multiculturalism is inextricably connected to mass immigration from non-White lands, and so the negative effects should be obvious to everyone: the eventual termination of Canada as a member nation of the European peoples. The foremost theorist of Canadian multiculturalism, Will Kymlicka, has been quite blunt about the ultimate intentions: "Adopting multiculturalism is a way for Canadians to say that never again will we view Canada as a 'white' country. In the shorter term, surprisingly enough, very little has been written on the empirically observed merits of immigrant multiculturalism. Kymlicka confesses that it was only in the 1990s — twenty years after its official implementation — that multiculturalism became a subject of academic inquiry, and that "for much of the 1990s" the publications on multiculturalism were "dominated by political philosophers who developed idealized theories of a distinctly liberal-democratic and egalitarian form". 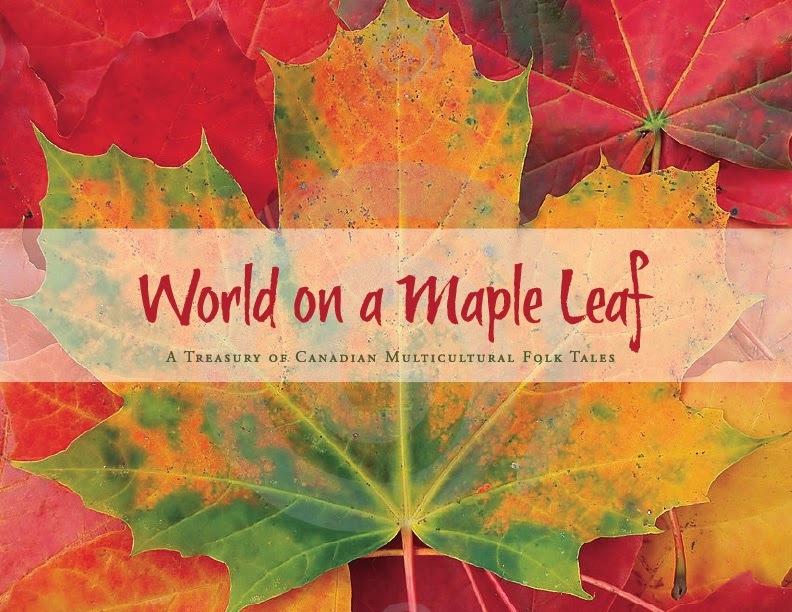 Overall, the total number of (original) pages Kymlicka has dedicated to the empirical merits of multiculturalism in Canada amount to about 10 pages; the sources he relies on tend to be the same, and the type of evidence is heavily subjective, about the feelings of immigrants towards Canada. Positive feelings about multiculturalism are deemed to be evidence of "successful integration". One the other hand, negative feelings about immigration are deemed to be "xenophobic" and thus automatically disqualified as evidence. He never asks how the host culture or the founding European peoples of Canada have been economically and culturally affected by the influx of millions of immigrants. Kymlicka gathers evidence showing that immigrants are acquiring citizenship, learning one of the official languages, getting involved in Canadian politics, intermarrying outside their ethnic group, getting jobs and participating in Canada's educational institutions. But this is rather easy since multiculturalism has been explicitly dedicated to benefit immigrant integration. What about evidence on the integration of Canadians with a European ancestry to multiculturalism? Here the only evidence that counts is those Canadians who have "progressively" come to accept a polyethnic Canada. Native citizens with a strong sense of European identity are automatically categorized as "intolerant" and thus ostracized as non-multicultural individuals in regards to whom their sensitivities and opinions cannot be used as evidence against this experiment. No wonder Kymlicka habitually uses the phrase, without quotations, "long march through the institutions", which has been attributed to the Marxist Antonio Gramsci and the Frankfurt School generally, and which points to a very successful strategy wherein cultural Marxists, instead of calling for a Communist takeover of the state against capitalism, as in Russia and China, call for a gradual takeover of the institutions of Western societies — the schools, the media, the churches, and every government institution connected to culture. This strategy has been immensely successful. 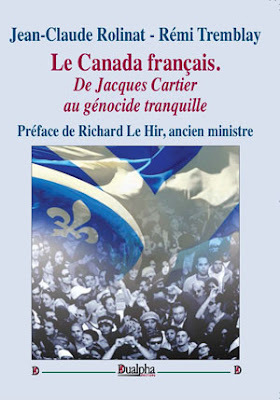 Kymlicka is not always frank about the intentions of multiculturalism, but once in a while he reveals its true colors and ultimate goals: Canada must "never again" be allowed to be defined as a European nation; the history of European Canadians is to be dishonoured across the curriculum as the history of "colonizers" and "white supremacists"; societies with a majority European population are lacking in "quality of life" and "cultural richness"; a true polyethnic culture necessitates that the ethnic and religious identity of non-Europeans "be given the same recognition" and, therefore, those state symbols that still remain European and Christian such as flags, anthems, uniforms, religious oaths, including public holidays, must eventually be redesigned or replaced by "more neutral" symbols and holidays. Kymlicka ignores the arguments contained in a 2009 study published by the Fraser Institute, The Effects of Mass Immigration on Canadian Living Standards and Society, edited by Herbert Grubel. This study shows, among other findings, that in the year 2002 alone the costs incurred by the 2.5 million immigrants who arrived between 1990 and 2002 exceeded the taxes they paid by $18.3 billion; only twenty percent of the immigrants coming to Canada are selected because of their skills and education. Moreover, the native working class with low skills and a poor education has paid the dearest price in the form of stagnant wages and unemployment due to cheap immigrant labor. The greatest beneficiaries have been the real estate speculators, immigration lawyers, businesses seeking cut-rate labor, diversity activists, ethnic organizations — and academics like Kymlicka who hate European Canada. Le Harfang: Isn't Canada a land of immigrants? RD: The claim that Canada is a land of immigrants is a lie repeated so often that even educated individuals and mainstream politicians have come to believe it. Canada became an immigrant nation only after multiculturalism was introduced and its borders were opened to the Third World in the 70s. Before the introduction of non-White immigration and multiculturalism, Canada was not an immigrant nation, but a European nation created by pioneers and a traditional population with a high fertility rate. The plan to terminate Canada's European identity has entailed the rewriting of its history in a way that would suggest that Canada had always been moving in the direction the cultural Marxists are coercing it to move. We have been made to believe that the 250,000 or more immigrants arriving every year since 1991 are no different from the founders of the past. This is a historical fabrication akin to the ones enforced in the former Soviet Union and Maoist China. The British and the French were pioneers and settlers, not immigrants. They did not move from one nation to another already created nation; they were the creators of a new country out of a wilderness. Moreover, the major demographic factor in the settlement and development of Canada has been the domestic fertility rate, not immigration. When the British gained control over New France in the 1760's, the French speaking population numbered about 70,000. Thereafter, until the late 1800s, the population began to expand rapidly, not through immigration, which had essentially ceased after the British assumed control, but through high fertility rates of Quebecers, with women having six surviving children on average. By 1900 the Quebec population was 1.5 million, and by 1951 it was almost 4 million — due not to immigration but to continuing high fertility rates. It was only during the 1960s that fertility rates in Quebec declined considerably, and only in the 1970s that Montreal saw an increasing arrival of non-European immigrants. Similarly, in British Canada immigration went into high gear only in the early 1900s, declining dramatically between 1931 and 1945. The increases in population were sustained through high fertility rates. Le Harfang: Now, you mention that anti-racist standards only apply to European derived peoples, can you elaborate? RD: Anti-racist standards only apply to European peoples because only European peoples have enforced such standards upon themselves. Lately, in the United States, not a month goes by without some notable media personality or sports celebrity being coerced to recant in public for some "racist" remark even if such remark was made twenty or thirty years ago. Despite the endless education programs, the imposition of diversity school curriculums, the portrayal of blacks in the most sympathetic fashion, the constant celebration of immigration and interracial mixing, despite all this, and the election of Obama, the anti-racist hysteria against Whites (by liberal Whites) has intensified. The whole thing is a struggle within the White community, between the "good" upper class liberal Whites, who are tolerant and, apparently, love all races (while living in their segregated White communities), and the "bad" racist working class or conservative Whites, who cannot accept "progressive" changes. In almost one hundred percent of "racist" incidents presented in the media, the perpetrator is a White person against a non-White person; hardly ever in reverse, and less so within non-Whites, say, a Mestizo against an Asian, or a Moslem against a Chinese. Meanwhile, in Asian countries, where there is never any talk about racism, we learn from Frank Dikötter, for example, how traditional Chinese notions about inferior "barbarians" intermingled with Nazi forms of "scientific" racism to form a distinctively Chinese racial consciousness in our current times. In Imperfect Conceptions: Medical Knowledge, Birth Defects, and Eugenics in China (1998), Dikötter references government publications calling for eugenics as a vital tool in the enhancement of the "biological fitness" of the nation, and heralding the twenty-first century as an era to be dominated by "biological competition" between the "white race" and the "yellow race". Can you imagine a Canadian government publication speaking in these terms? Ethnic minorities in China are treated as second-class citizens. Tibetans are routinely described as lazy, ignorant, and dirty. Han migration to Tibet is destroying their heritage; Han companies dominate the main industries, and the Chinese get the best jobs. The province of Xinjiang, nominally an autonomous region, is likewise being flooded with Han migrants. In 1949, Han Chinese amounted to only 5 per cent of Xinjiang's population; today they are up to 41 per cent. Urumqi, the capital city, consists of 75 per cent Han Chinese. The average Chinese views the natives from Xinjiang as backward and as ungrateful for not appreciating the modern infrastructure bestowed upon them by the Han. Yet, there is never any talk of racism, and the Western media hardly ever approaches non-White countries from this perspective; instead we are made to believe that Asians are sufferers of White imperialism and racism, and that Canadians can only benefit from Asian immigrants and their naturally non-racist attitudes. Canadians are so obsessed with anti-racist standards that they have actually handed over Vancouver to Asians to show that they are not racist. Toronto, our major universities, the University of British Columbia and the University of Toronto, have now been thoroughly colonized by Chinese immigrants, immigrants generally, as well as international students. Only European peoples have been made to feel that they must transform their nations into multi-racial places and thereby eliminate themselves from their historic position as rulers of their own homelands. Anti-racism is a war against Whites in their own countries. Those who opposed this war are called "White Supremacists". When will multiculturalists ever learn that the downfall of white supremacy will only make a clear pathway for other forms of supremacy to take over its place. Racism will only peak at this shift of supremacy. I admire your hard work, I have so much to learn from you! I finally finished reading the whole article. I am looking forward to part two. "The claim that Canada is a land of immigrants is a lie repeated so often that even educated individuals and mainstream politicians have come to believe it." Quite correct. I've been looking for a scholarly refutation of that lie. Thank you. Multiculturalism, in its origins, was an attempt by ethnic Europeans, Ukrainians, Jews and Italians, in alliance with Asians and Africans, the so-called 'Third Force" to undermine biculturalism and bilingualism because it shaped their 'contribution' to the Canadian polity as second-class. Biculturalism and bilingualism in and of themselves were intended to destroy the Anglo-Saxon hegemony that had existed in Canada, since the conquest and founding of an Anglo-Saxon commonwealth called Canada. The French, as a conquered people had long resented Wasp dominance and the other European ethnics resented the 'discrimination' they experienced during the First and Second world wars. As Mill opined, freedom may only exist in a homogeneous society. It's a stretch to say multiculturalism is anti-European as European ethnies fought for its ascendancy. The not so thin edge of the wedge. It behooves Wasps to eschew nationalism and embrace the protection of multiculturalism looking outside Canada for the antecedents that will sustain them. You are excusing the Anglos; they were instrumental in undermining their own hegemony and the moment the Quebecois challenged them in Montreal, they moved to Toronto without a fight, whereas the Jews at least fought for the English language. Today Anglos are terrified of their own ethnicity, more so than any other European group; they are devoted to diversity and don't have the will or courage to affirm their Anglo-ethnic identity, and will, at most, only ask for assimilation to their deracinated language. These are straw men. The point you make is that multiculturalism is anti-European when in fact the historical record clearly shows that European ethnies, Ukrainians, Jews and Italians, among others, advocated for its ascendancy. "an attempt by ethnic Europeans, Ukrainians, Jews and Italians, in alliance with Asians and Africans, the so-called 'Third Force"
Do you have a source for this so called "fact?" And why did you not list other ethnicities? And Why lump the africans (who did NOTHING) for this country together with, say, Italians who, were not only European, but they also contributed to this country -and worked their butts off to be where they are now? And besides, if you look at what 'multiculturalism' meant back in the 60's it was clearly European in context. Today, it is multi-racialism - which I reject. You are missing the point. While multiculturalism undoubtedly started as a type of (dishonest) competition between European communities, multiculturalism today is extremely anti-European, as the coveted title of 'marginalized group' has passed above all to non-Europeans, who are always considered more marginalized and more alien than any European group. The fact that you mentioned the early interest groups in alliance with Asians and Africans only proves my point. Jews don't really count because Jews are not considered totally European. Not to the same extent anyways. The Canadian First World War Internment Recognition Fund, and its recent release of plaques across Canada, is as much about victimization, marginalization and guilt mongering as is an apology and reparation to the Chinese community for the head tax. How is providing Ukrainian interest groups with millions to promote an ideological agenda not to the benefit of this particular ethnic group? So, which is it, "Le Hargang" or "Le Harfang"? I know, I know, the "f" is right next to the "g" on the keyboard. How about fixing it up. Anyway, good reading. Corrected. Maybe you can become my editor: I surely need one but there is no pay and you have to be prompt. How I would love to! But I'm not certain about the "prompt" part. I am one of those cranky raging grammarians but am paranoid about making my own mistakes. Elloell. Excellent read Ricardo and shared on our page.